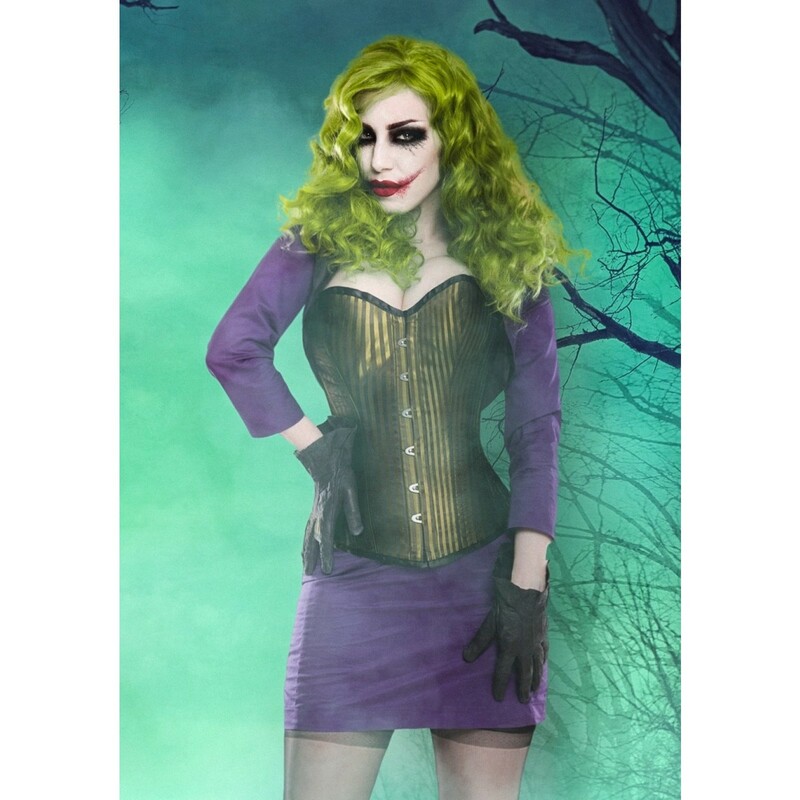 Ideal for Halloween or Cosplay, this outfit is comprised of a corset, skirt and bolero. The vertical stripes create a slimming effect, but these stripes are combined with the hourglass figure creating corset, for extra effect. The lovely green colour is incredibly versatile and can be combined with other looks such as pin-up, steampunk, cosplay and much more. This short pencil skirt has been designed to work in tandem wih a corset. The combination flattens and hides any bulges to create stunning silhouette that will have the wearer looking and feeling great.